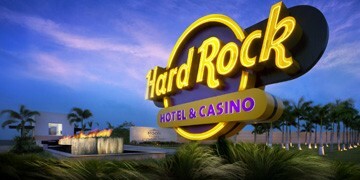 The first all-inclusive Hard Rock Hotel & Casino has opened in Punta Cana, Dominican Republic. This sprawling resort takes the Hard Rock concept to an all new level, featuring unlimited meals and drinks, and the largest casino in the Caribbean. The resort boasts over 1700 rooms, 15 swimming pools, an enormous hydrotherapy spa, over 10 restaurants and several bars and lounges on a stunning beachfront location. Stocked with a wide array of rock star memorabilia, including oversized pieces such as Madonna’s silver prism sequined limo and Sammy Hagar’s roadster, the décor offers plenty of eye candy. The resort is showing to be popular with singles, couples, families and groups, and was at almost full capacity during my recent stay. Nighttime entertainment included their house band “Revolver” nailing classic rock covers 3 nights a week, as well as DJs, karaoke, and the ever present casino. Plans are underway to launch an ultra hip disco night club on site, ‘Oro’ within the next 6 months. While pricier than most all-inclusive resorts in Punta Cana, the uniqueness of the property and the luxurious rooms and suites are making it a popular choice. Guests traveling this year also receive a $1500 resort credit to be used on tours, spa, casino, room upgrades and other amenities. This entry was posted on December 8, 2011 at 8:15 pm and is filed under Travel. You can follow any responses to this entry through the RSS 2.0 feed. You can leave a response, or trackback from your own site.